inVogue is a clean and responsive, modern and simple, resourceful and fast-loading, pure and easy to use ultimate niche WordPress Fashion Shopping Theme that was developed perfectly for any clothing, product, jewellery or fashion store, from small one man operations to the biggest retail superstore. This theme includes lots of features like predesigned homepage demos, easy to use admin interface, uncluttered clean page layouts, navigation layouts and color customizer, WPML and WooCommerce ready. 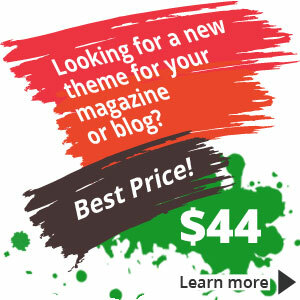 Also, this theme is packed with premium plugins like Visual Composer and Revolution Slider.